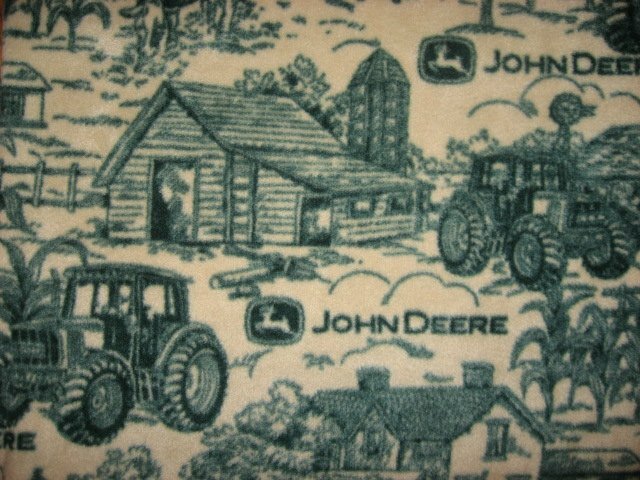 Quality soft antipill beige toile fleece blanket throw depicting John Deere logos and green farm scenes. 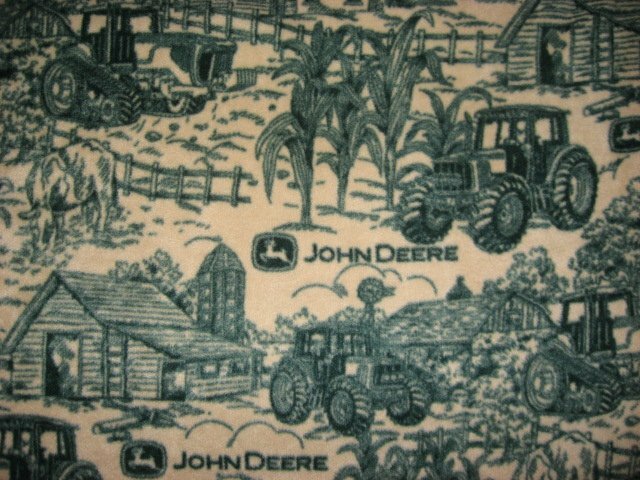 Brand new handmade anti pill fleece blanket made with John Deere licensed fleece. This fleece blanket throw measures 50" by 58". This is single thickness. The words are mirror image on the backside. Thanks for looking, and have a great day.